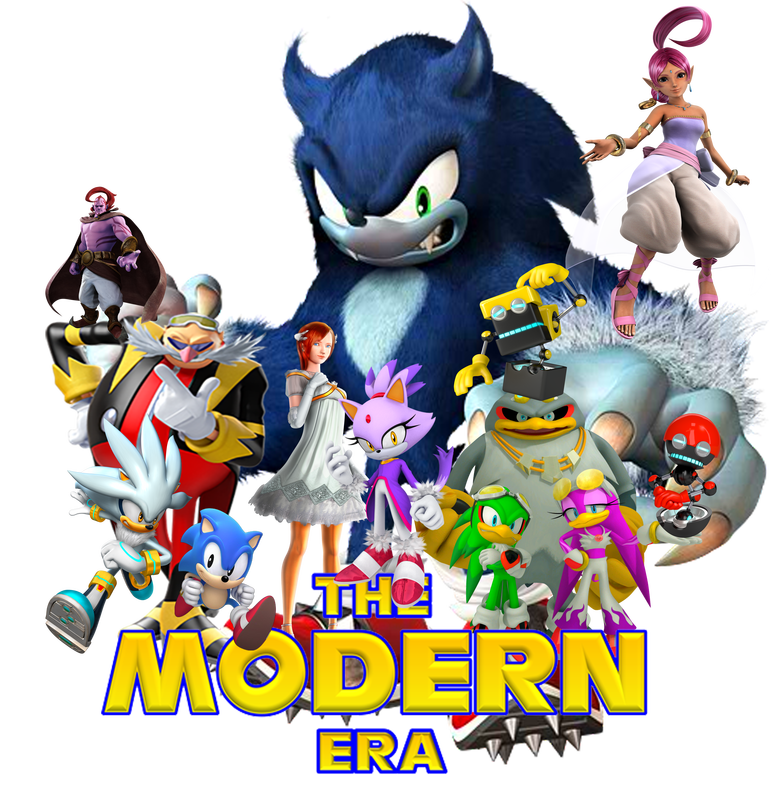 The Modern Era - Concept: "Mobius"
To many, the Dreamcast Era ended on a low note thanks to Shadow's game. Sonic Team's experimentation was becoming more and more out there in their efforts to keep things from going stale. And make no mistake; running from point A to point B as quickly as possible CAN and WILL get stale if you let it. I don't care how good the gameplay is. This era, however, is where things got messy. The Sonic series went in multiple directions as the latest generation of hardware debuted. While Sonic Team hit the ground running with Sonic Rush, dips in quality would continue until the "Sonic Cycle" soon became a hateful meme that plagues the franchise to this day. Eventually, as the 2010s dawned, Sonic Team would come to the conclusion that they had no other recourse but to start with the tried and true method of winning back their past patrons: nostalgia.